Today is just of one of those days that no matter what I do, my hair just seems to have a mind of its own. 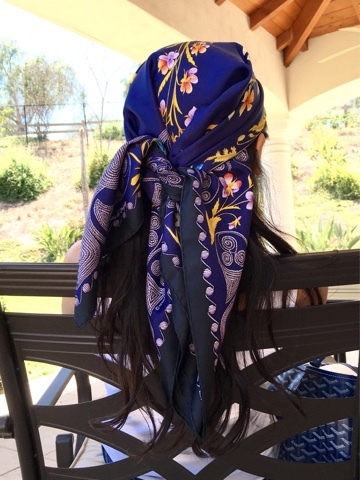 After trying for about 15 minutes to tame my unruly tresses, I gave up and used a silk scarf to hide my mess. It is actually rather perfect because it is also quite windy as well. Being a busy mom, honestly hair is really the least of my concern but when my hair is messy, I just don't feel good and the rest of the day is kinda off. Instead of throwing on a hat or a baseball cap, I like using a silk scarf sometimes to add a pop of color to my outfit since I prefer simple pieces. I literally threw on a pair of jeans and a white top with gold sandals and I am ready to start the day. 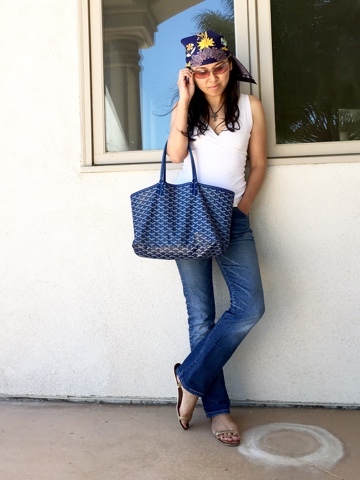 Add a pop of color just makes me feel slightly more chic and stylish. How do you deal with bad hair days??? Speaking of hair.... 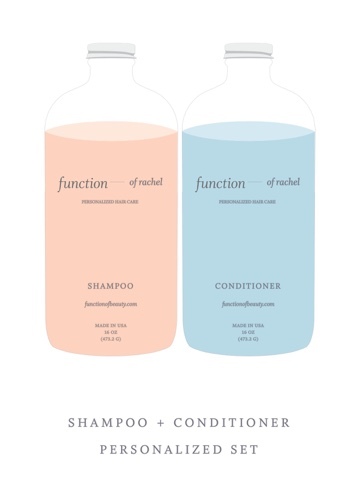 The folks at Function of Beauty is giving one lucky Savvy Mode readers a set of customized shampoo and conditioner to try. To enter the giveaway please go to my Instagram account. I am rather intrigued by the idea of customized hair care set. Although I am okay with store bought shampoo and conditioner, something is always off. With a customized set, a gal's individual hair type and profile are addressed accordingly. I saw that the company has good review so far and if Vogue, New York Time and NBC are all talking about it, I see that this is worthwhile exploring. Good luck, I can't wait to hear the lucky winner's experience. 1. For US residents only, 18 years or older.